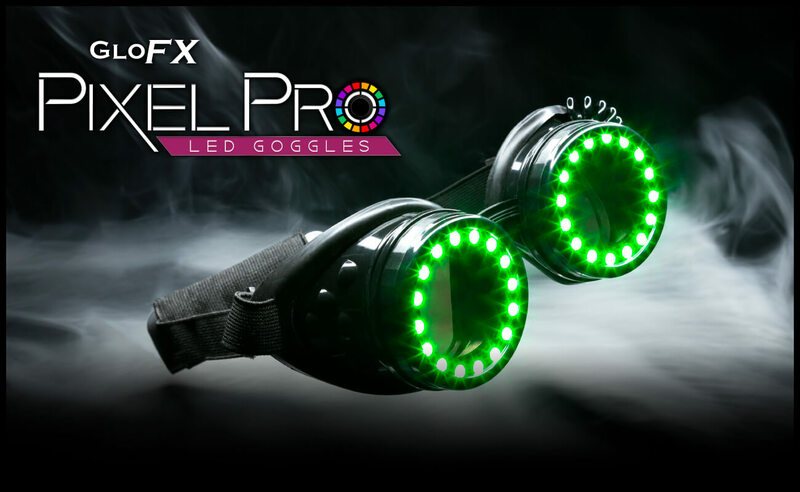 We are stoked to provide free standard shipping on all Pixel Pro LED Goggles delivering inside the USA! You must select the free shipping option at checkout* READ MORE. These things are awesome. 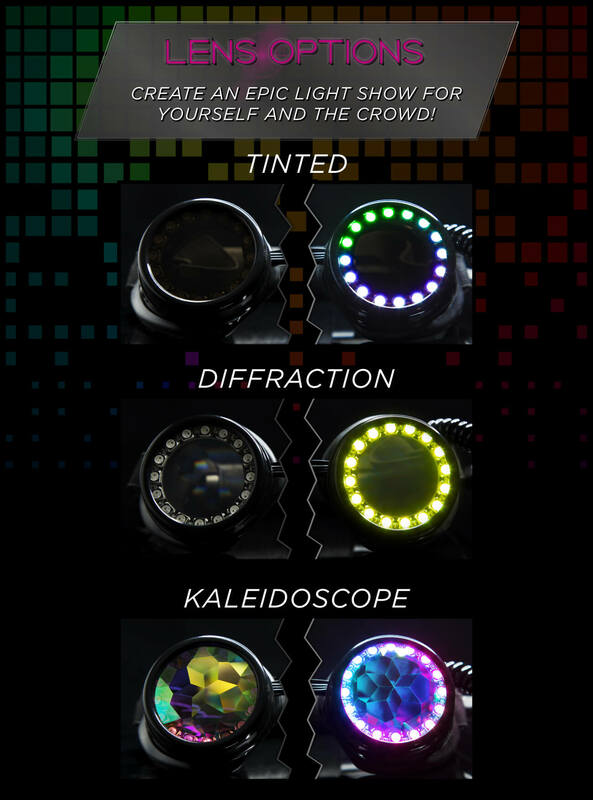 so many modes and colors. Wish I could add more than 5 or 6 modes to the favorites menu, but thats no big deal. Love how you can change the speed and brightness. The lenses do get a tad warm when they’re on for awhile ( more than 20 minutes) but you can’t feel it on your face. You can see the LEDs with the kaleidoscope lenses, but it just adds to the awesomeness.Gotten so many compliments on them already. Super stoked to wear them to Electric Forest! 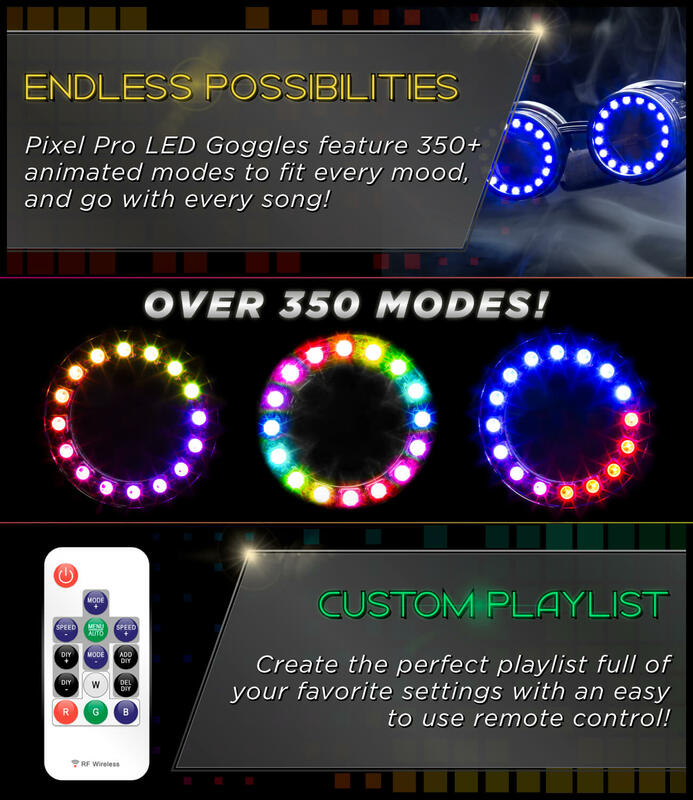 I’m still playing around with these 3 hours after I got them delivered and I just can’t decide what to keep programmed because they are all SO AMAZING, just keep it on auto cycle for a light show! Or better yet, give them remote to a friend and let them toy around with you. Honest review. I took these out and everyone was telling me how awesome they look and if they could wear them or get a picture with them on so they are definitely the attention grabbers! Now… I mostly took 1 star off of my review for 2 reasons. 1. The battery that is connected to the strap can look bulky and feel a bit awkward when actually wearing them around your eyes. 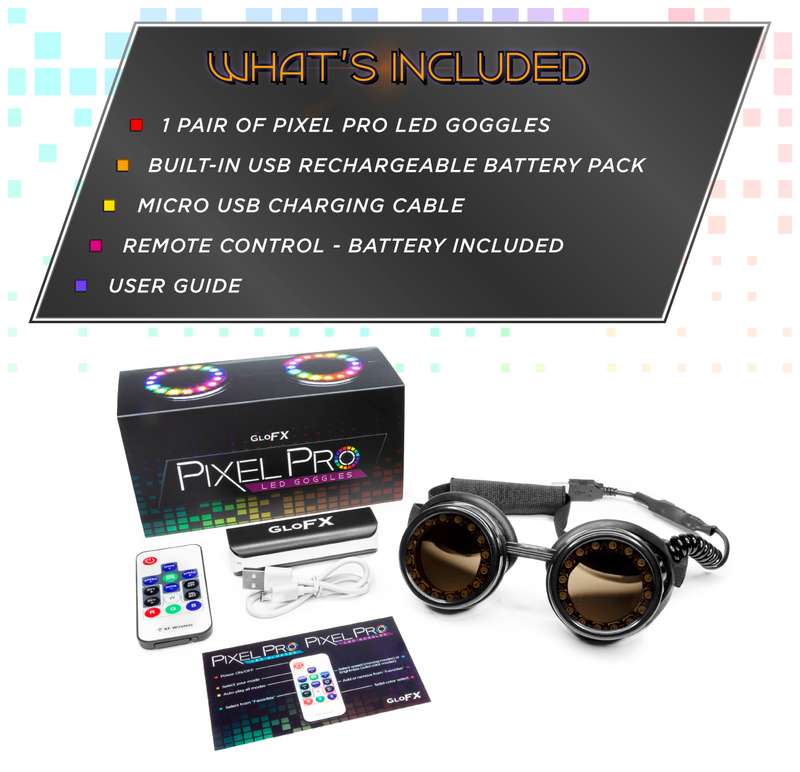 If your looking to to have your battery in your pocket rather than on your head, I recommend the pixel pro glasses. 2. 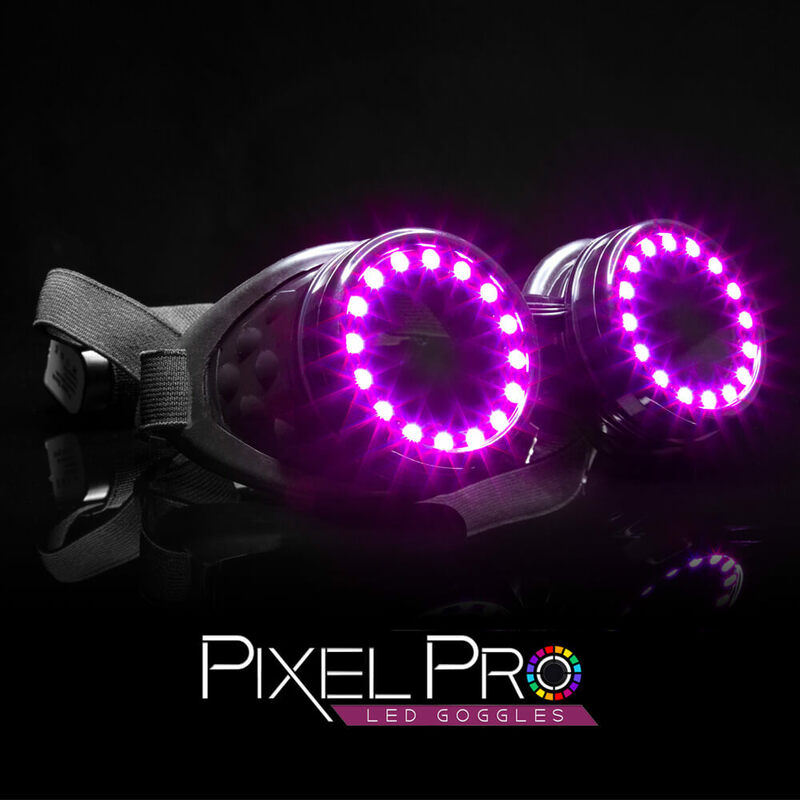 When I recieved my pixel pro goggles, it’s seemed to have a slight chip on the remote that comes with and, and some minor scratches on the goggles. Functonality is normal but I just want it perfect! 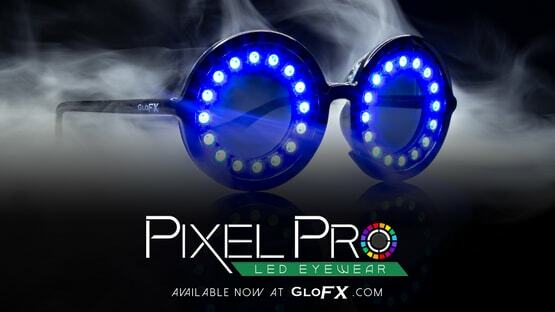 Thank you again for another great product Glofx! 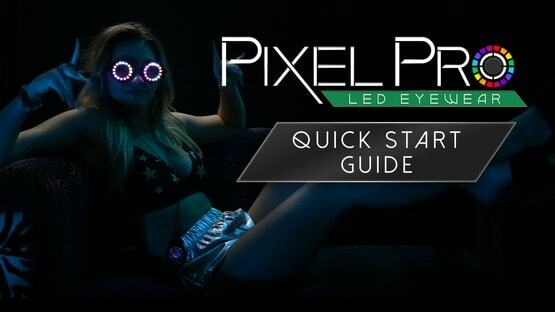 I bought the model with tinted lenses, a microfiber bag, and an extra battery. All in all, these are great for the price and I would definitely recommend them for anyone that thinks these look cool. 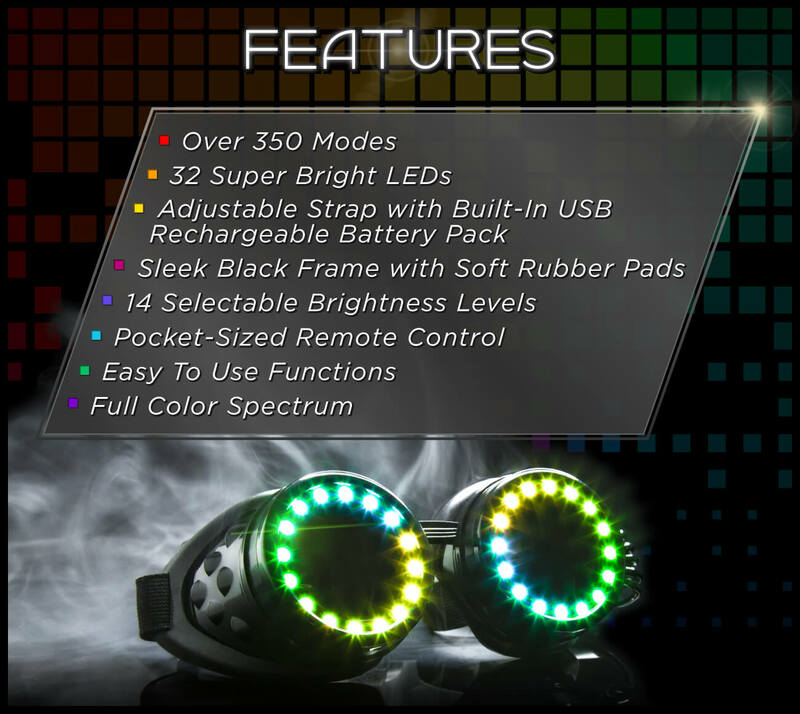 I would also recommend buying the extra battery if you’re planning on wearing these to a festival where you’re camping. There are only a few problems I had, but they aren’t deal breakers. You can’t really expect a professional product for a consumer price. Been a few days since I got my pair but have yet to put them to full use. I’ve played around with it a little and it’s freaking amazing like all the modes u can cycle thru and slow them up or down to the any song is sick. These things are rad. They’re a fun accessory for your shoes and festivals. Like others have said, they have some issues but overall they’re cool. I did the BOGO and that is a really good deal. They’re definitely worth $35 a piece.